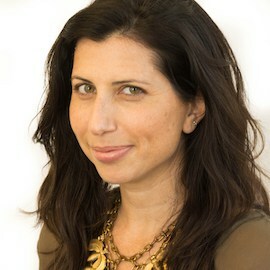 Alissa Fishbane is a Managing Director at ideas42. She has extensive experience converting innovative, evidence-based ideas into practice, having designed, tested and scaled interventions in developing countries and the United States across areas including global health, education, criminal justice and financial inclusion. Before joining ideas42, Fishbane was the Managing Director and a founding executive of Deworm the World, which she helped grow from zero to serving 35 million children annually by scaling school deworming programs with government partners. Prior to that, she was the Latin America Director and founding Mexico Country Director for Innovations for Poverty Action, where she developed and implemented randomized evaluations reaching over 375,000 low-income families. Fishbane was also a Senior Director at City Year, where she led the design and business planning process to create a new secondary school for underserved youth. Alissa serves on two World Economic Forum committees: the Global Future Council on Behavioral Science and the Human-Centric Health Steering Committee. She is also an affiliate for the Nudge4 Solutions Lab at the University of Virginia, which creates and rigorously evaluates solutions to some of our society’s biggest challenges and then scales evidence-based strategies. Outside of work, she mentors a teen in the residential program at Good Shepherd Services, an organization that helps more than 30,000 youth and family members in struggling neighborhoods throughout New York City. Fishbane graduated with honors in Political Economy from the University of California, Berkeley and has a Master’s in Public Policy from the Harvard Kennedy School. Behavioral economics illustrates how we humans often fail to plan beyond the immediate future. Over the past two years, the MetLife Foundation and behavioral economics lab ideas42 have examined the behavioral barriers standing in the way of financial health for low-income people in two pilot markets, Mexico and Chile. The two organizations have designed solutions that facilitate retirement savings, short-term savings and access to credit.